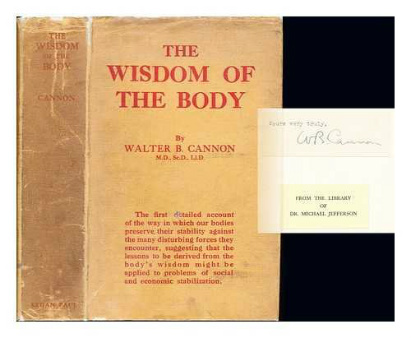 The Wisdom of the Body, the revised and enlarged edition was published by W. W. Norton & Company (April 17, 1963, shown on the left) but the first, original version was published in 1932, once again by W.W. Norton & Company (shown on the right). This classic medical book was written by Walter Cannon, an American physician-scientist and physiologist, who introduced the concepts of homeostasis, fight-or-flight responses, and the sympathoadrenal system. 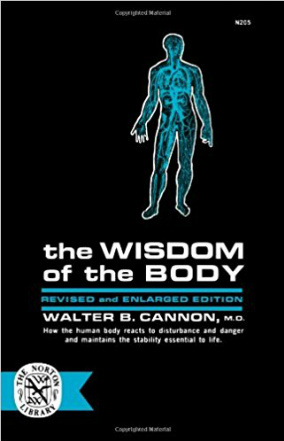 In The Wisdom of the Body, the dynamic equilibrium/steady state of the internal milieu or homeostasis is the central theme and Walter Cannon popularized this new term in his book. According to Cannon when the body’s homeostasis is threaten the sympathoadrenal system is activated The result of such stimulation is an increase in heart rate, constriction of blood vessels, and dilation of bronchioles and pupils, which allows the aroused organism to confront or flee the danger – the response, which is now well-known known as the fight-or-flight response. Cannon believed that the sympathoadrenal system plays a key role in returning the body to its normal state of equilibrium after such arousal had occurred. “Cannon’s writing is clear and yet detailed, easily accessible to scientists and the lay public alike, and current findings and concepts of the time are summarized elegantly. His overarching point is that the human, characteristic of all mammals, relies less on an attempt to match his physiology with the external environment than to regulate his internal environment within narrow limits. What Bernard refers to as the milieu interieur, Cannon calls the “fluid matrix.” Discussing how this fluid matrix and its integrity is maintained, he reviews current research, his own and others’, in the areas of thirst and hunger, water content of the blood, salt content, blood sugar/proteins/fat/calcium, oxygen supply, ph neutrality, and body temperature. 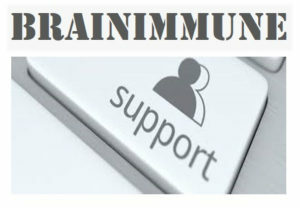 He also discusses the aging of homeostatic mechanisms over time before embarking on natural defenses of the organism and the margin of safety in bodily structures and function. 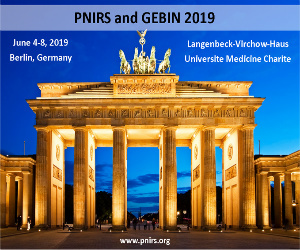 His penultimate subject is “the two grand divisions of the nervous system” with particular attention to the role of the sympathetic (“sympathico-adrenal”) nervous system in homeostasis. After summarizing this entire discussion, Cannon provides a brief epilogue exploring possible relationships or parallels between biological and social homeostasis, an exploration heavily influenced by social theory of his time.